Only parents of children (less than 20 years of age) who are fully immunised or are on a recognised catch-up schedule can receive the Child Care Benefit, the Child Care Rebate and the Family Tax Benefit Part A end of year supplement. 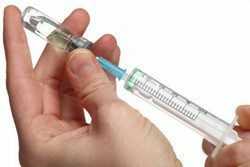 The relevant vaccinations are those under the National Immunisation Program (NIP), which covers the vaccines usually administered before age five. These vaccinations must be recorded on the Australian Childhood Immunisation Register (ACIR). Families eligible to receive family assistance payments and have children less than 20 years of age, who may not meet the new immunisation requirements, will be notified by Centrelink. To support these changes, the ACIR is being expanded. From 1 January 2016, you will be able to submit the details of vaccinations given to persons less than 20 years of age to the ACIR.